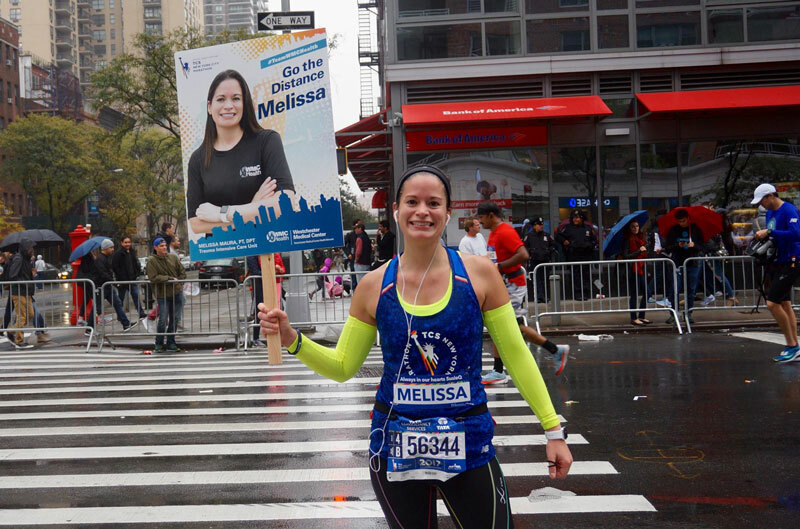 A team of 12 dedicated Westchester Medical Center Health Network (WMCHealth) workforce members hit the streets of all five boroughs on November 5, competing in the TCS New York City Marathon to help support patients across the Hudson Valley. The marathoners represented all of WMCHealth’s 10 hospitals, pushing themselves to their physical limits to help support the most extensive healthcare network in the region. The marathoners succeeded in raising more than $37,000 for WMCHealth as of November 13, and the donations will stay local to each runner’s local hospital within the network. Pictured: Melissa Maura, PT, DPT, of Monroe, was one of the 12 workforce members who ran for WMCHealth.